Wallflowers is a commissioned piece for the SHINE 2010: Urban Garden festival. 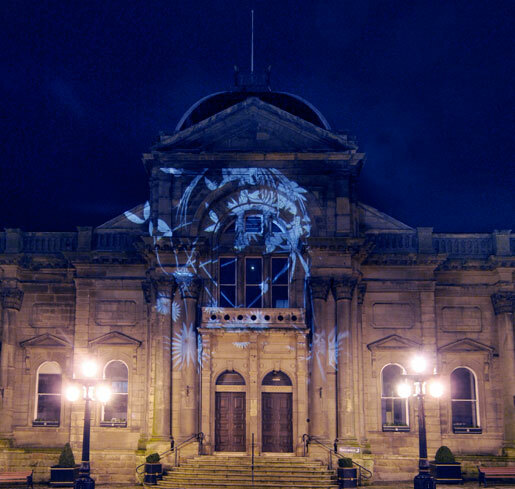 Projected onto the exterior of Sunderland’s Winter Gardens building the work was a generative animation of decorative, botanic forms which continually changes and evolves as plants grow, flower and move. Inspired by the botanical forms inside the building as well as traditional design, the ambient digital decoration transformed the outside of the building with moving patterns which resonated with the architecture of the exterior and if the botanical collections within. Other contributors to the festival included Daniel Brown’s ‘Tropic of Sunderland’ and KMA’s ‘The Hive’. Below is an sample of the generative animation. Shine 2010 from Andrew Richardson on Vimeo.